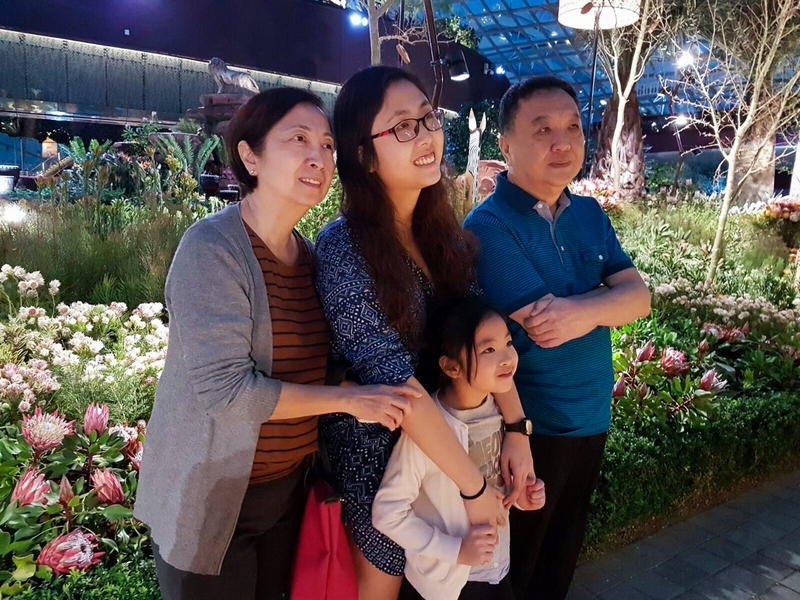 It wasn’t my daughter’s first time in Singapore when we went during her semestral break last year. 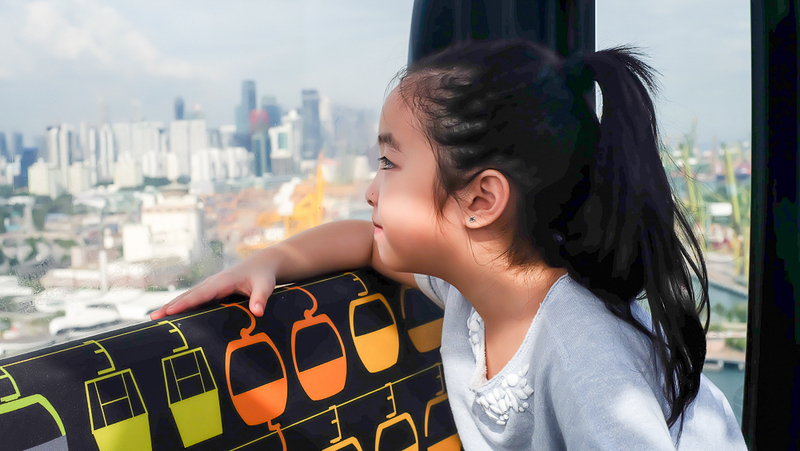 Her first visit to Singapore was years ago, when she was only a 22 month-old toddler with little or no memory of the destination. I can’t believe this lil’ lady is turning seven next month! 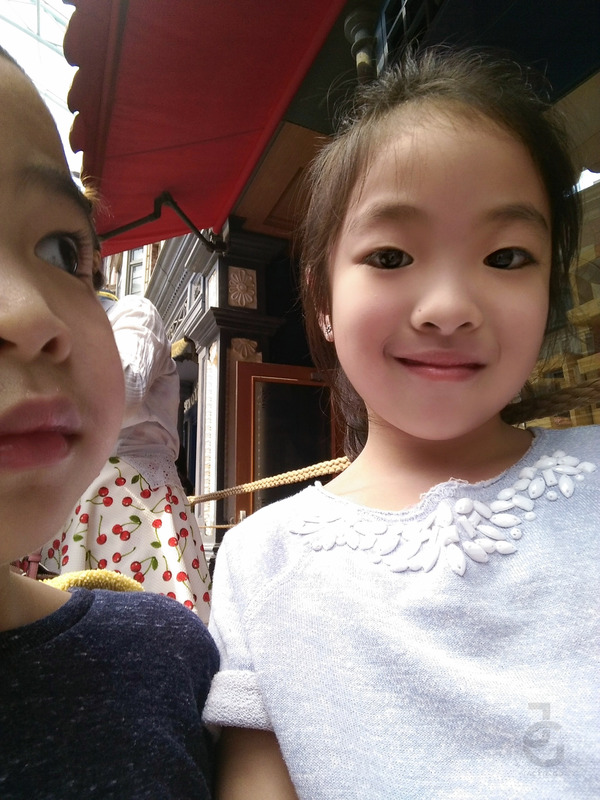 During our Singapore trip she had revealed a bit more of herself which made us come to know our firstborn more. 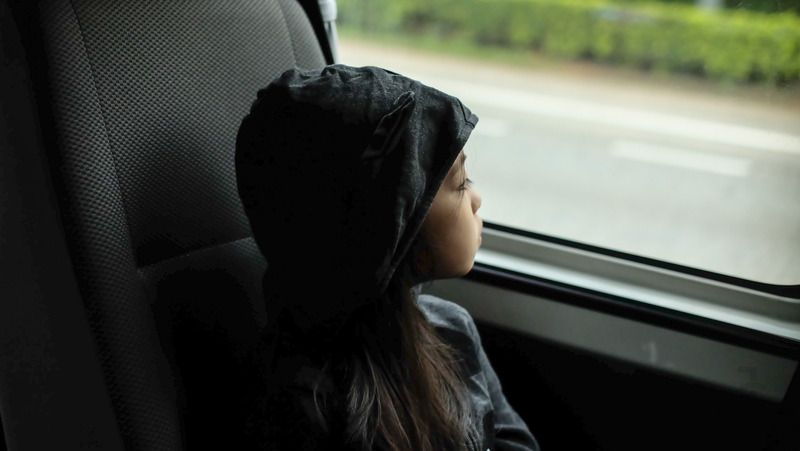 For a change, we wanted to do something interesting, which was to get her thoughts on our most recent family trip out of the country. Hence, we passed her a spare phone so that she could take photos and videos through her perspective. And our brief to her was simple, just snap away and describe to us the experiences she found most memorable! 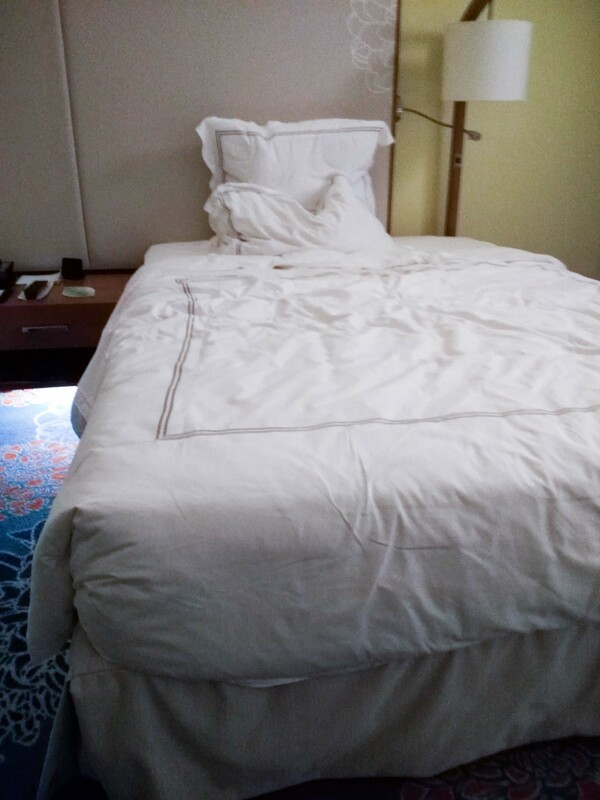 Gabbie: This is where my brother & I slept and rested during our Singapore trip. We haven’t even left our room and yet my kids already had fun jumping up and down, across and over our beds! 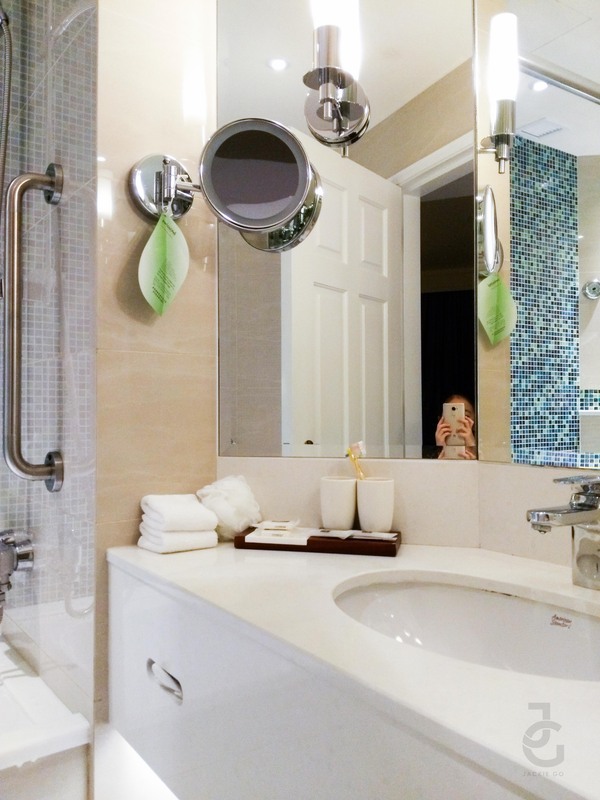 Gabbie: One of the things I look forward to every time we stay in a hotel is the bathroom! My kids always check the bathroom first whenever we stay in a hotel to see if there’s a bath tub! 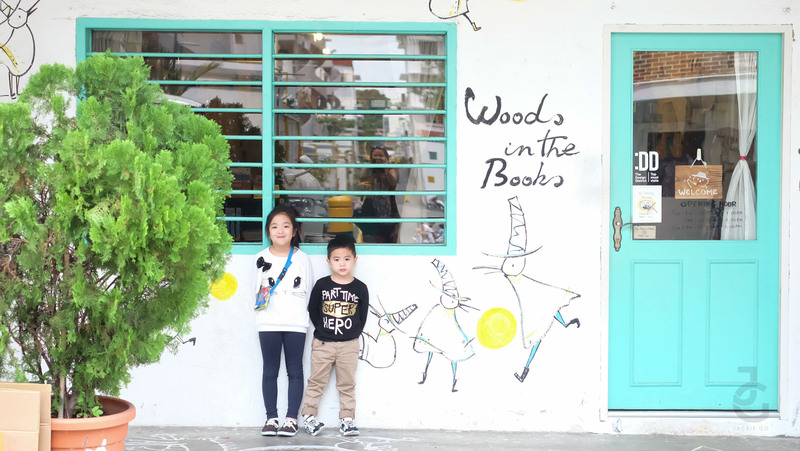 I love how they kids enjoyed our vacation in Singapore even before we left the room to explore the city! Heehee. My curious little lady watched as the chefs prepared our lunch. 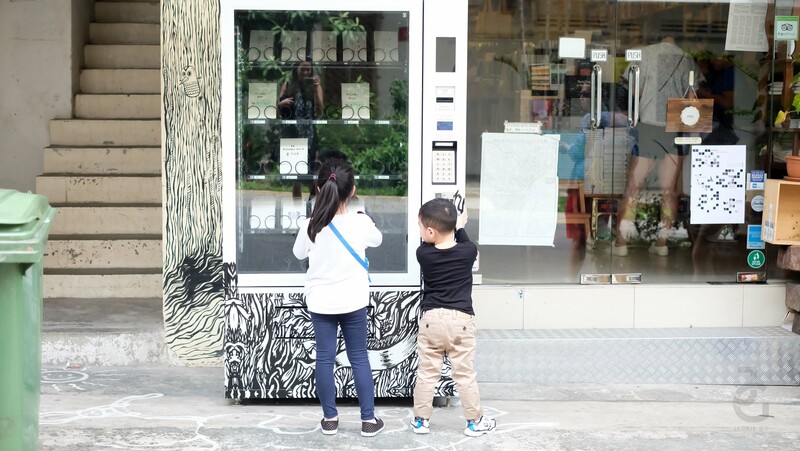 My kids were so amazed that there’s a vending machine for books along Tiong Bahru. 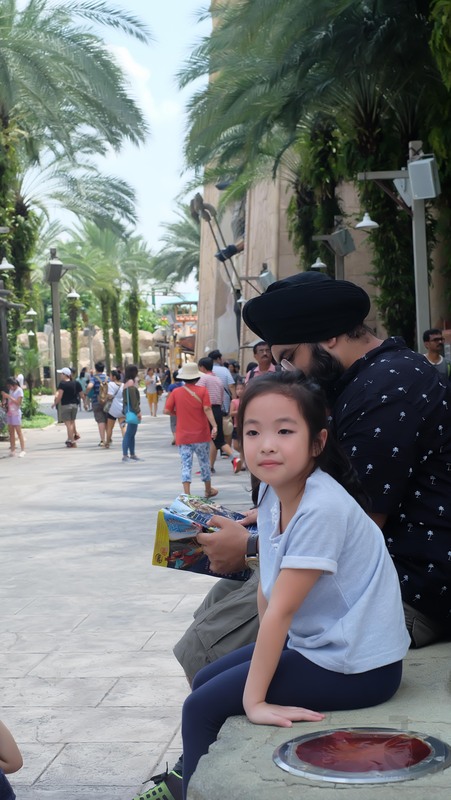 First time to bring both my kids to Universal Studios Singapore together so before we left our hotel, I just had to have our photo taken. 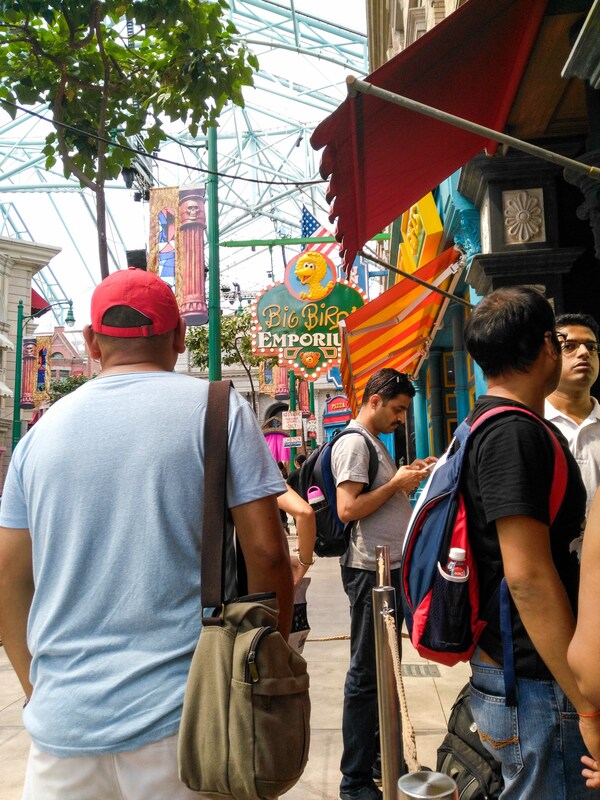 Taking a rest in between exploring the different areas of USS. I love how observant my daughter is. 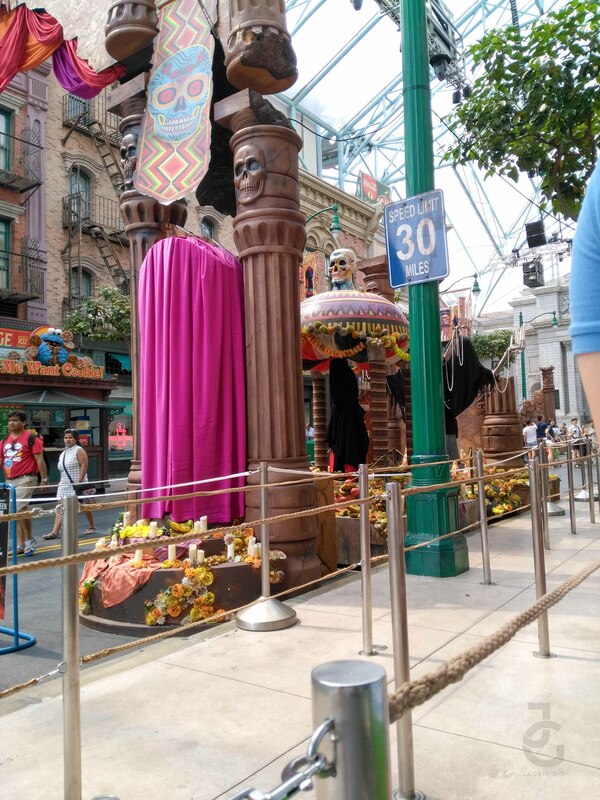 She noticed there are different people from different countries visiting the theme park. Gabbie: Snapped this photo of my dad before we entered the Spaghetti Space Case. 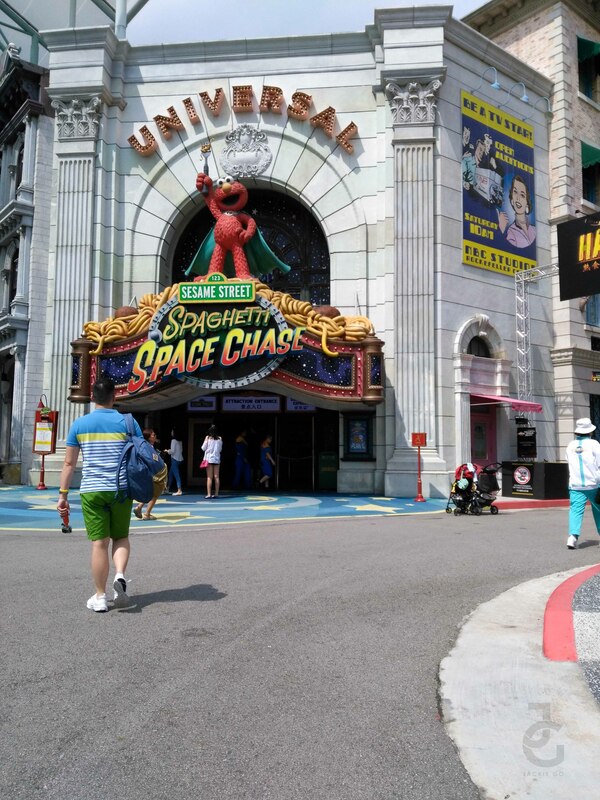 Gabbie: The Sesame Street area in USS is one of favourites. We got to see the entire cast and ride a rocketship. Gabbie: The park also celebrated The Day Of The Dead aka All Saints Day/ All Souls Day during our visit. That’s why there were different floats decorated with candles, flowers and skulls. 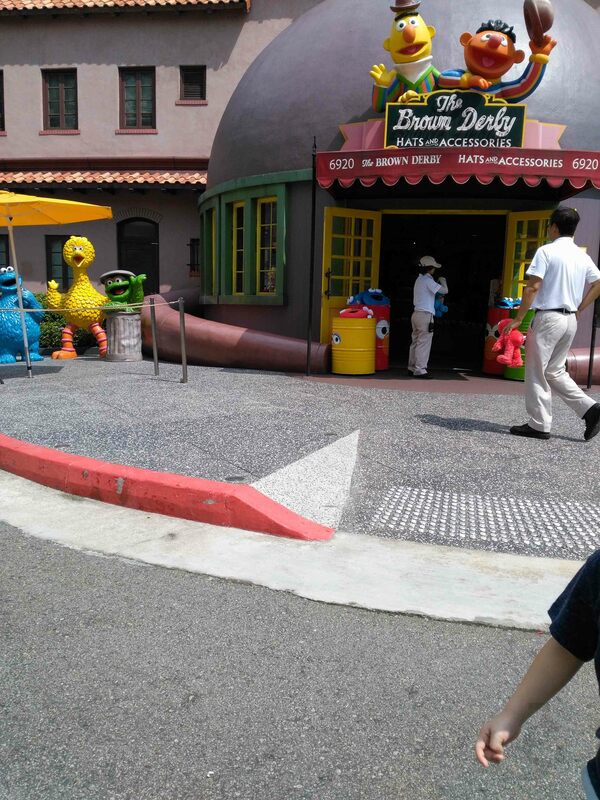 Gabbie: Lining up at the Sesame Street attraction and this was my view. 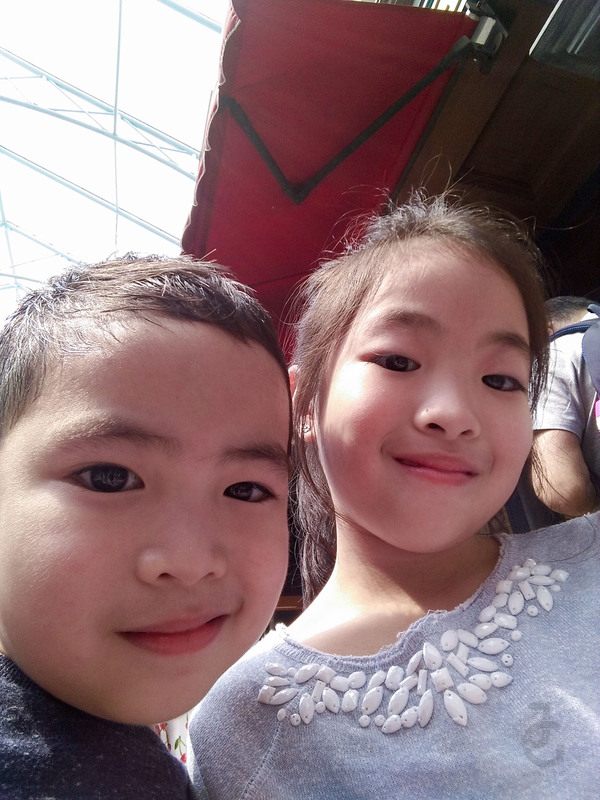 Gabbie: We were bored waiting so I asked my brother for a picture. Gabbie: It’s called a self-we according to mom! 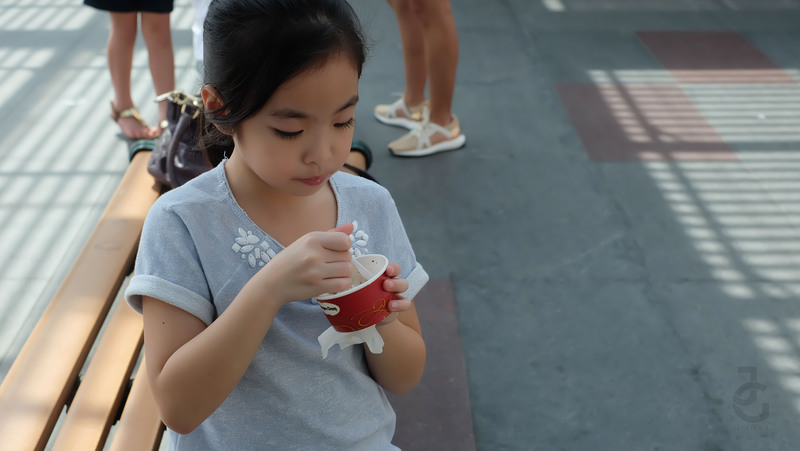 After spending our morning at USS, my kids & I were excited to eat. Usually I ask my kids what they want to order. 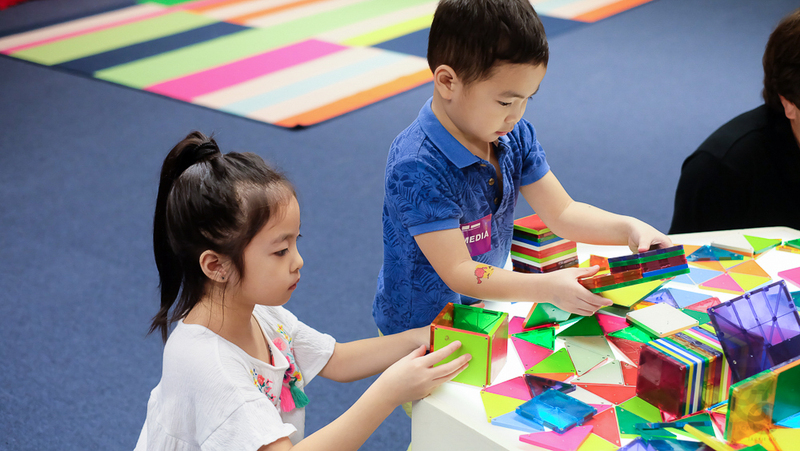 I let them practice this so they can be more confident in making decisions for themselves. 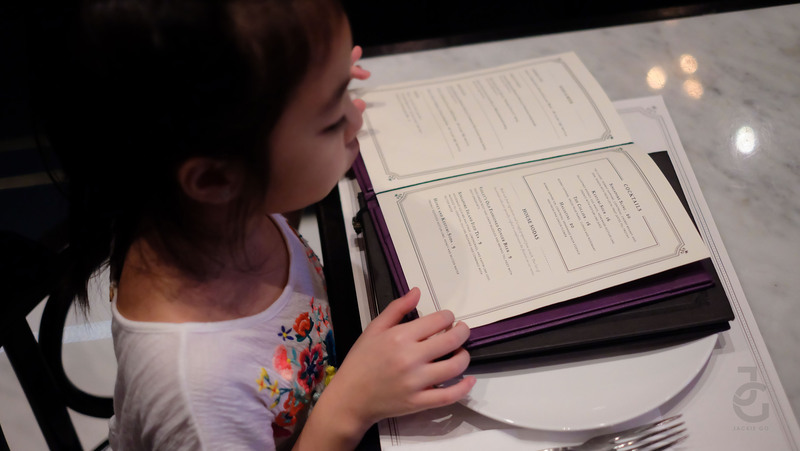 Thankfully, the menu of most restaurants we’ve been has photos of the dishes they serve so it’s pretty easy for my kids to choose their food. 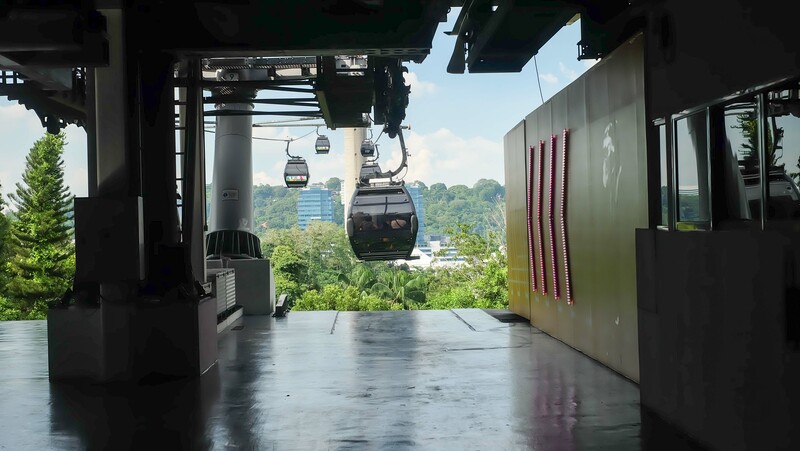 Gabbie: First time for me to ride a cable car! It looks scary. Gabbie isn’t really afraid of heights. I captured her admiring the view. 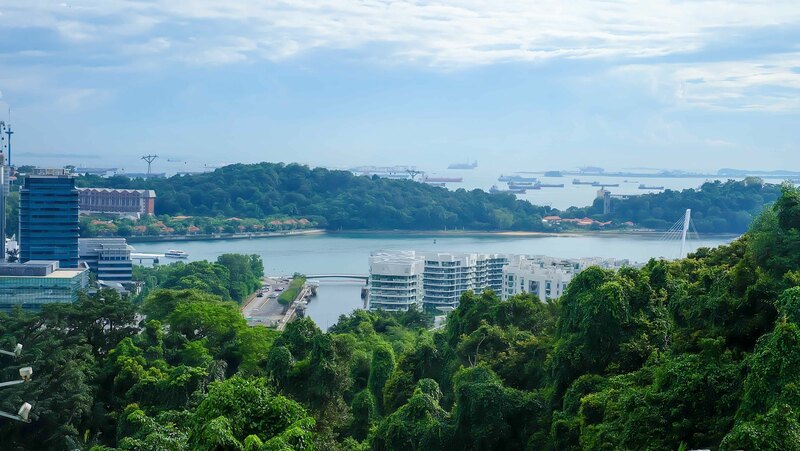 The view from the cable car was breathtaking–a mix of skyscrapers and lush greens. Another cool thing in Singapore is the bathroom at The Peak. The beautiful bathroom has an equally beautiful view. You can see the cable cars passing by! It’s one of the things I’ll remember about Singapore. My kids picked up my habit of being a serial snacker. 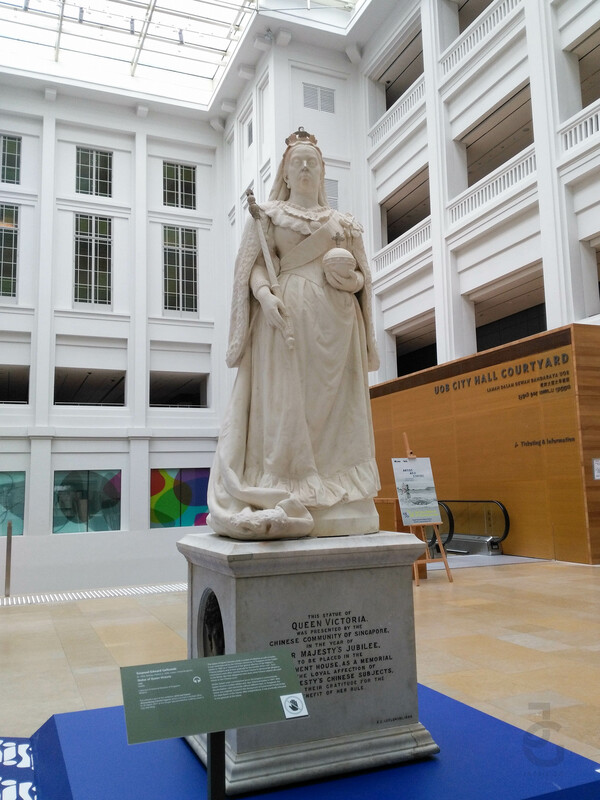 Gabbie: We also went to the National Gallery. 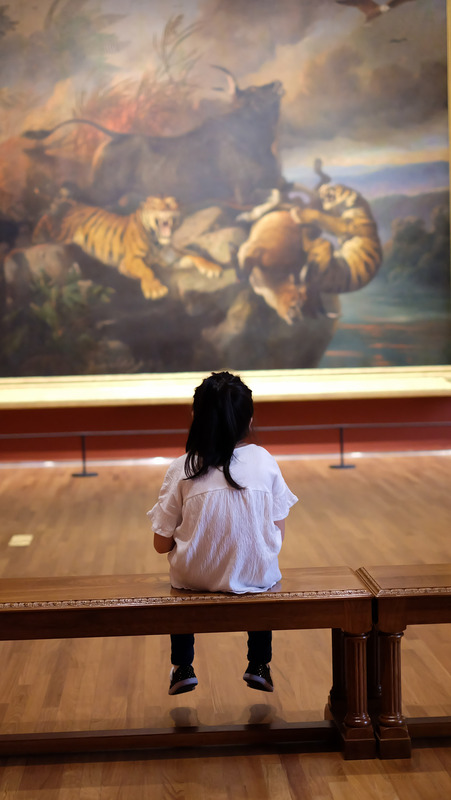 It’s a museum and gallery where there are a lot of paintings, books and other old things that are kept for everyone to see. Gabbie: I honestly thought it would be boring there. 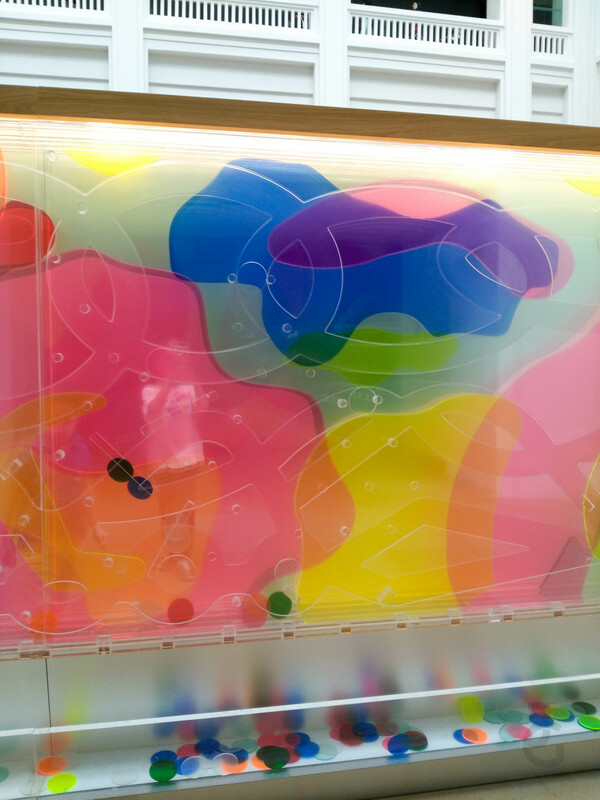 But I was surprised to see there are tons of activities for kids like me! 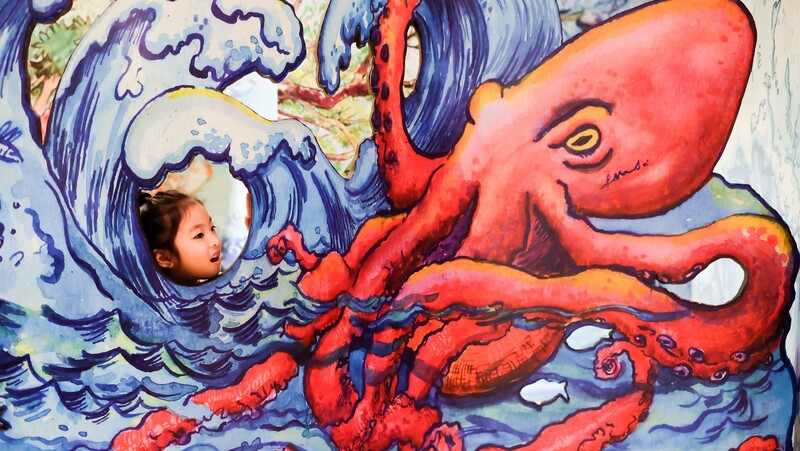 Probably the most fun museum my kids have been to! There’s an area dedicated to kids and you can read more about it HERE. Gabbie: I get to build a house made from recycle materials. 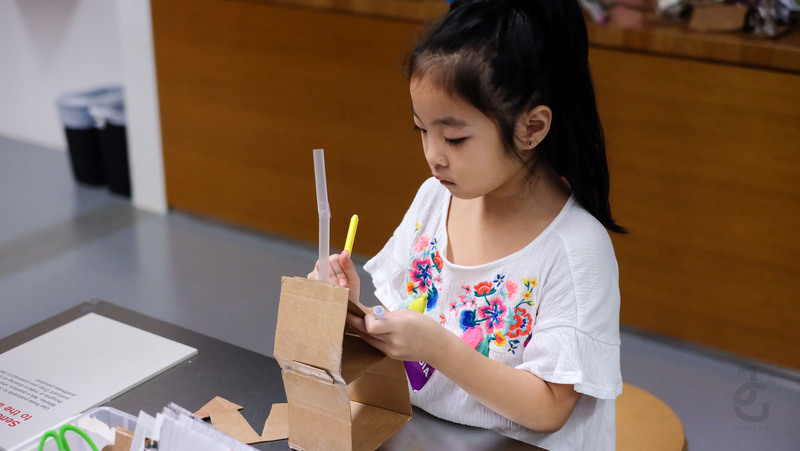 Gabbie: I also got to build with my brother. 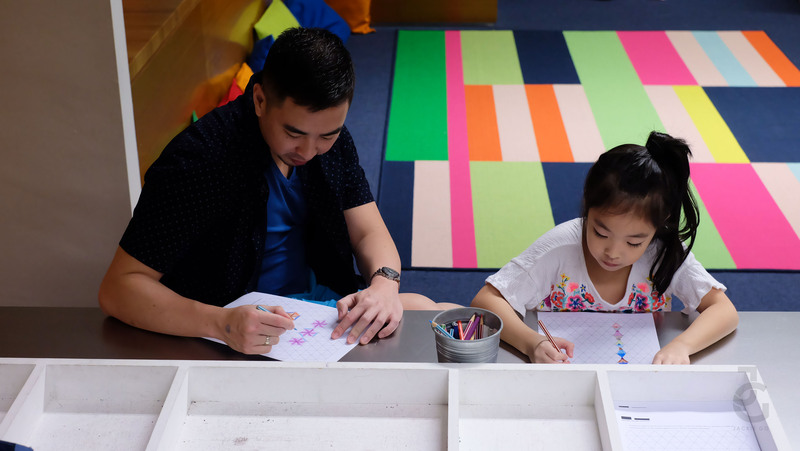 Gabbie: And do art with my dad! Gabbie: Art appreciation. This huge painting looks so real! 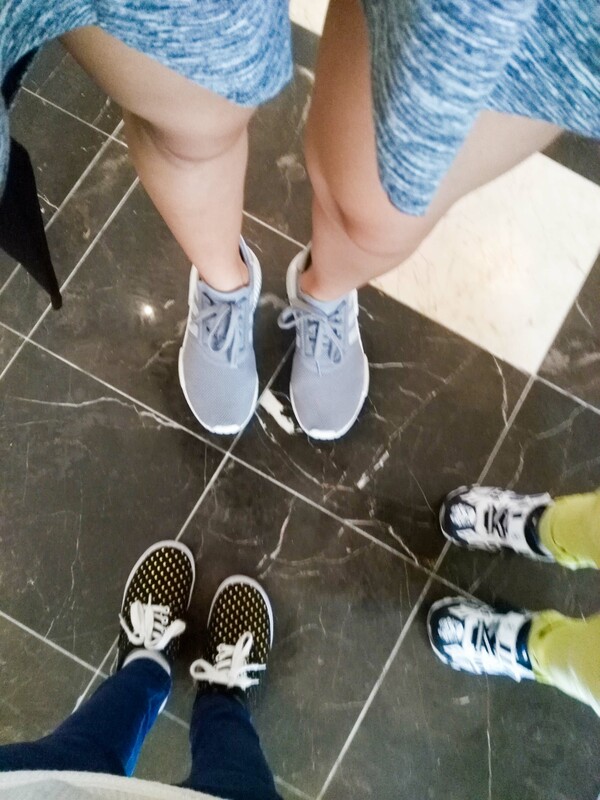 Gabbie: Shoefie with my mom and little brother. After going around National Gallery, it’s time to eat! Here’s Gabbie trying to read the menu.. 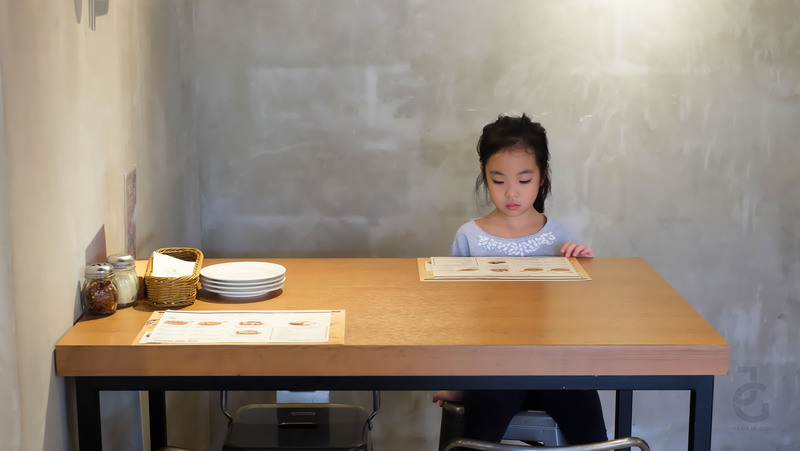 Eventually she ordered Hainanese Chicken for her and her brother to share. 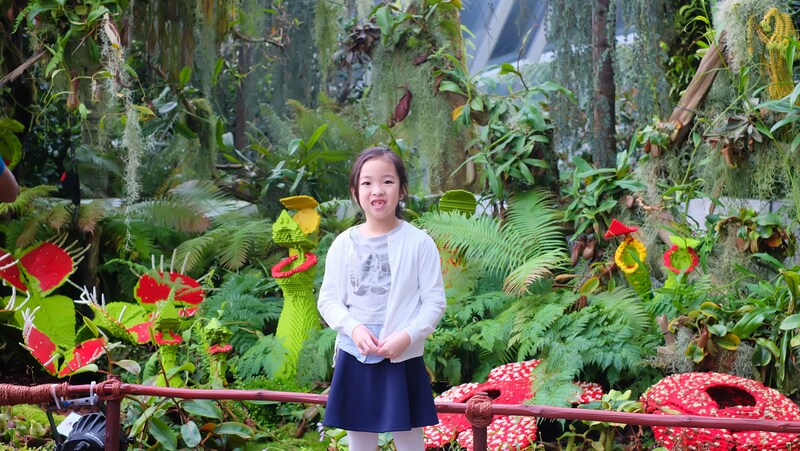 Gabbie: I also enjoyed walking around Gardens By The Bay. Behind me are real plants and plants that are made of lego. Can you tell which is which? 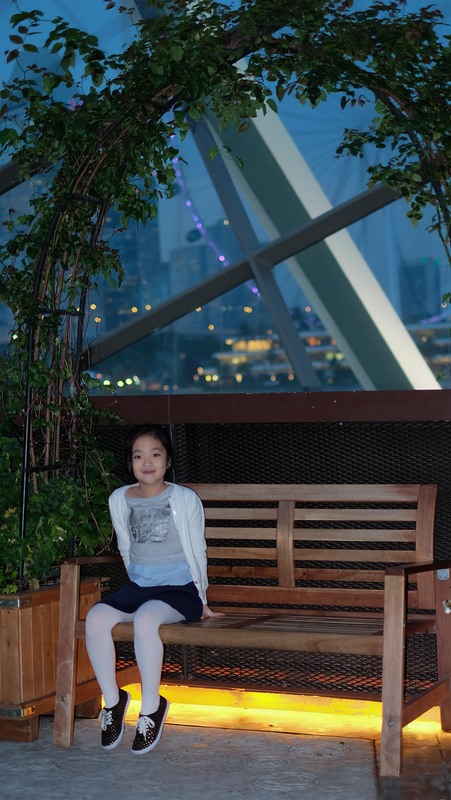 Gabbie: My visit to Singapore was made more fun because my Ahma, Kong Kong and Tita Kim were also there! 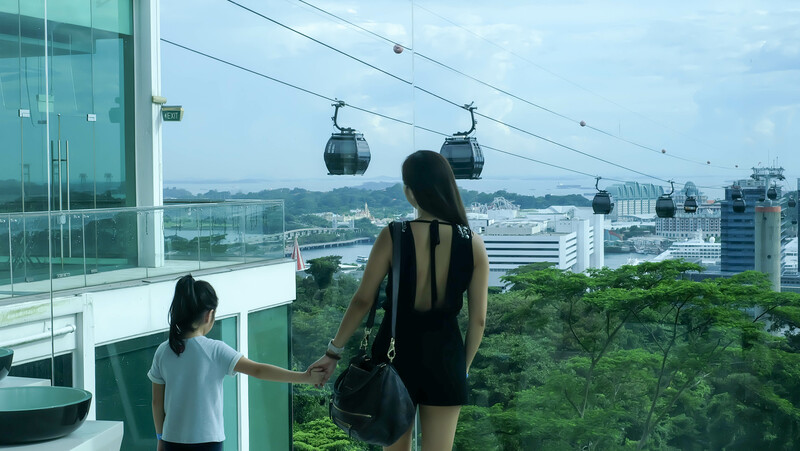 Gabbie: We walked at the top of these supporters and saw Singapore’s skyline. It dances and lights up which makes it special. Gabbie: My dad took this picture of me while I was resting. 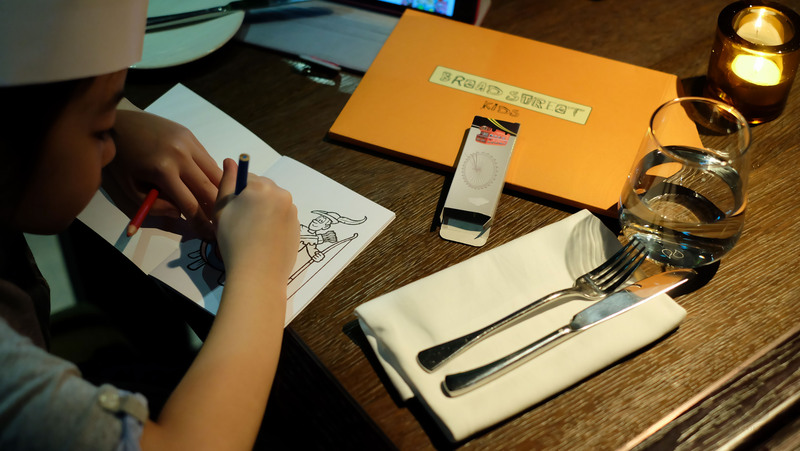 Gabbie: One of the restaurants we dined at had a kiddie kit. It helped me and my brother get through waiting for our food. 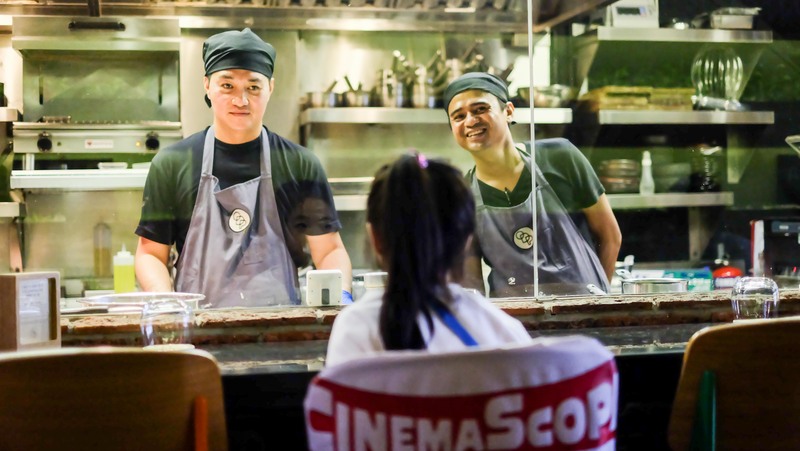 You can read our Singapore food adventure HERE. 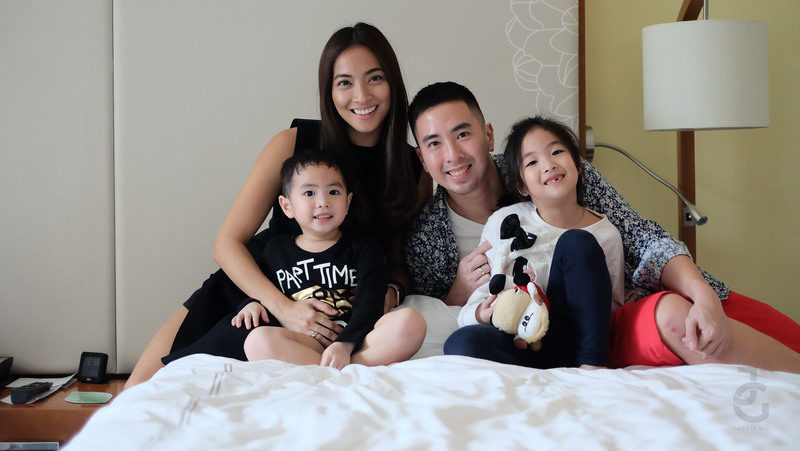 Gabbie: My best memory of visiting Singapore is being with my family. Everything we did was fun and exciting. I can’t wait to go back and visit again! 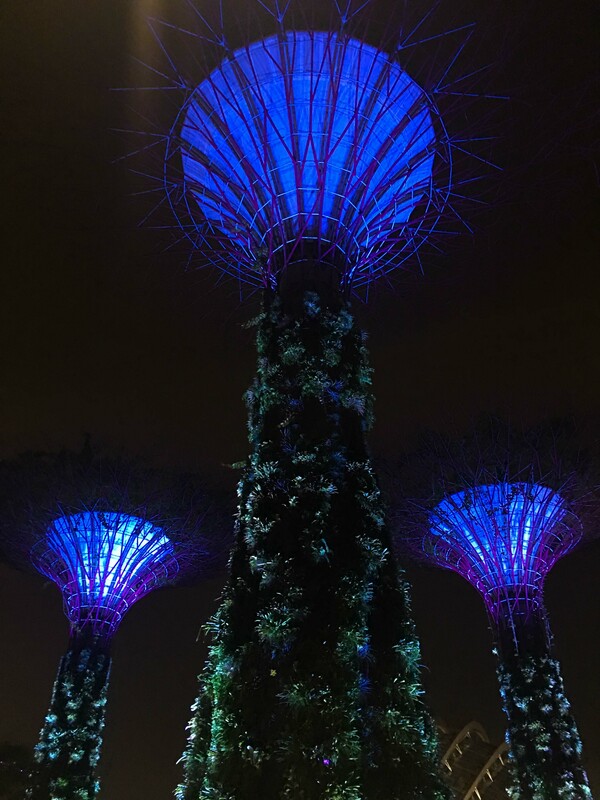 Watch the video of Singapore thru Gabbie’s eyes!